Our final day in Urumqi was free & easy shopping day. We are leaving to airport in the afternoon so we have a whole morning to shop around in the city. We started to explore the downtown at around 9 am but most of the shops are still closed. The shops and restaurants usually open at 11.00 am but still it is good to stroll around the city without any congestion. The population in Urumqi is about 3.5 million; 75 % are still Han Chinese and 13% are Uyghurs and 13 other minority ethnic which are Hui, Kazakh, Manchu, Xibo, Mongolian, Kirgiz, Tajik, Tatar, Uzbek, Russia and others. Urumqi is a national garden city, an excellent tourist city and a modern city in China. The city was rank top seventh for most “happy/幸福感” provincial capital cities in 2015. This mean people who live here are contented with their life and what government has done for them. In 2017 Urumqi was elected as one of China’s top 10 ice and snow tourist cities. Well, we usually would think of Haerbin/哈尔滨 in Dongbei/东北 but Urumqi too has plenty of snow in the winter and look as pretty. 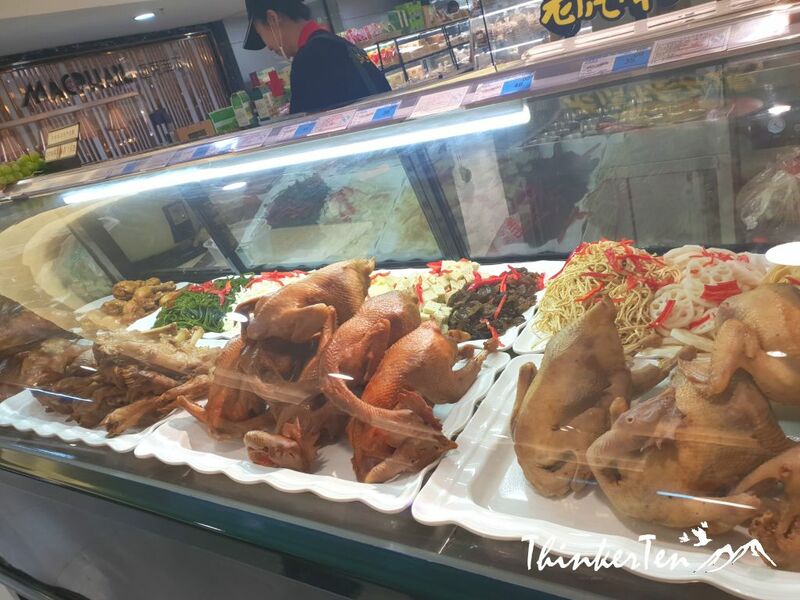 When you are in Xinjiang, most of the food here shared characteristics with the Turkish and Central Asia food which contain lots of meat. Majority of Xinjiang people are Muslim if they are Uyghurs or Hui ethics but there are big population also Han people who are non muslim. 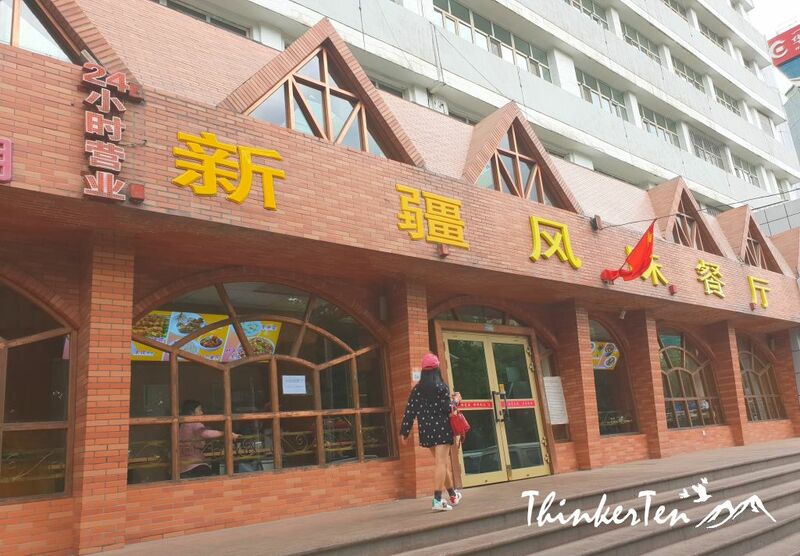 If you feel like having pork cuisine, then go search for restaurant that stated as 汉餐/Chinese Food. 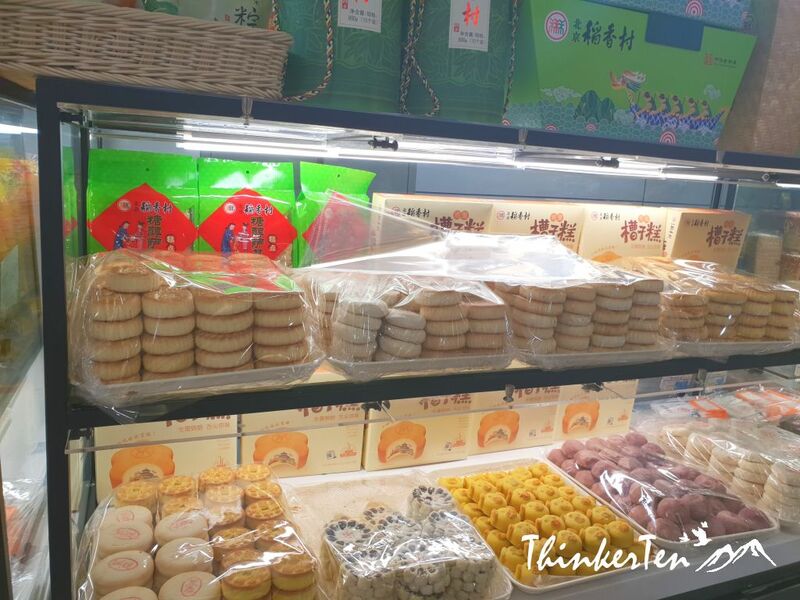 In Urumqi city, you get to see several convenient stores all over the city with the name of ‘Eight thirty”/八点半. 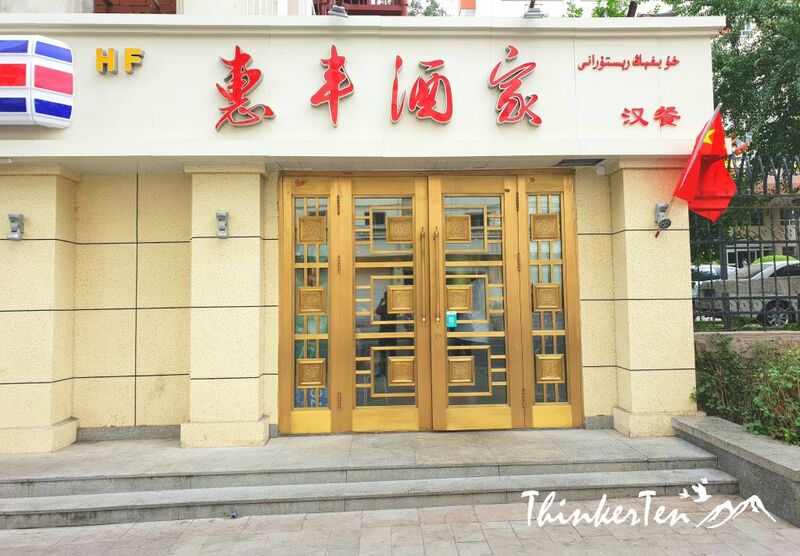 It is a chain store in Xinjiang. Nothing so special, just an ordinary convenient stores. Youhao Supermarket seems to be another popular place to shop for groceries. 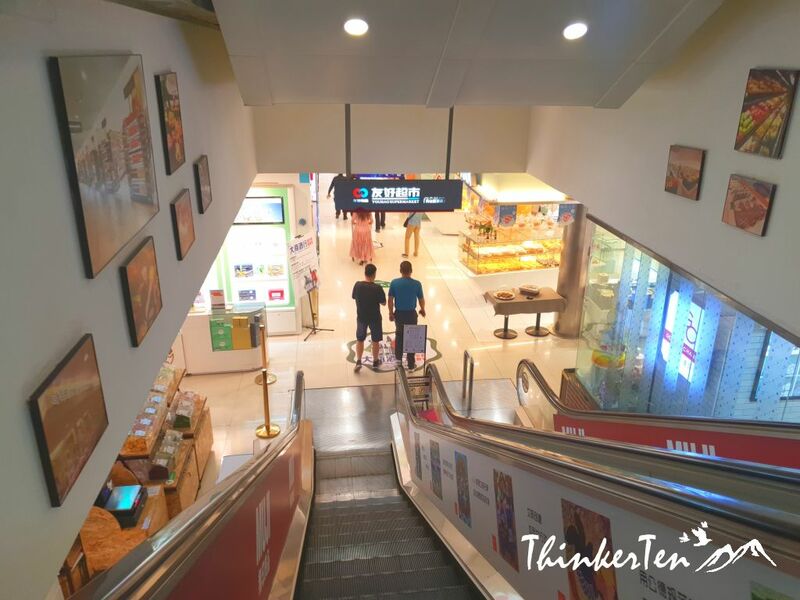 Spotted few in Urumqi, one in Zhongshan Road and one at the underground of Tian Shan Departmental store. 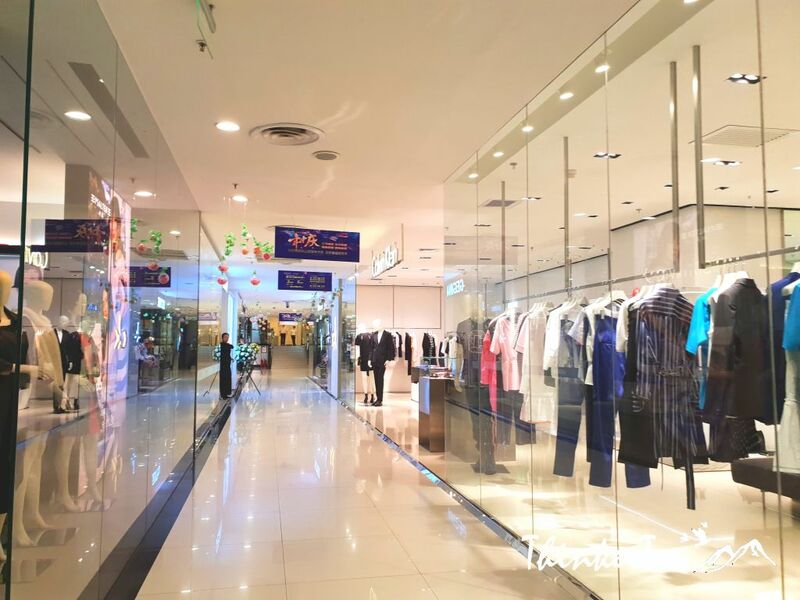 Tian Shan is the largest department store in Urumqi and it is well located in the heart of downtown. Once you stepped into the mall, you will see all the famous luxury brand you can think of. My instinct told me the things here won’t be cheap. I was not interested to shop for any clothes but more to check out what they have in their local supermarket. 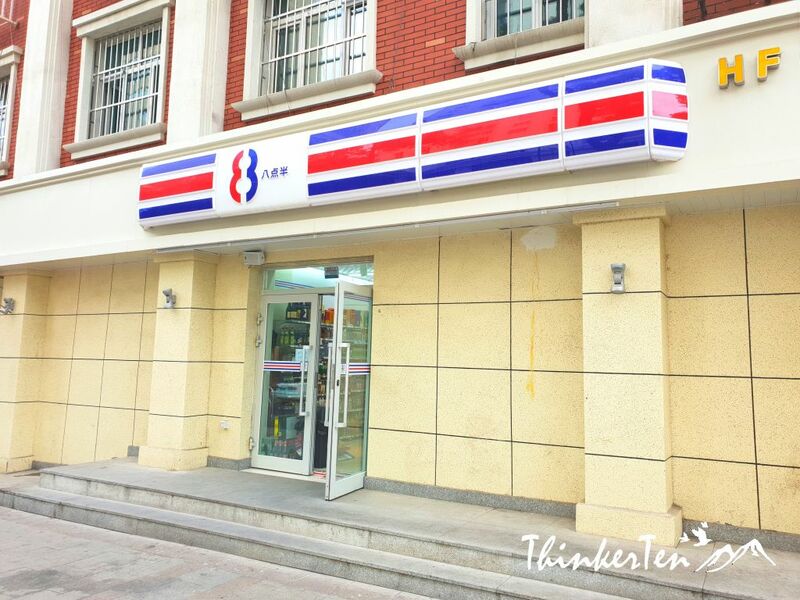 The Youhao Supermarket is located at the basement. 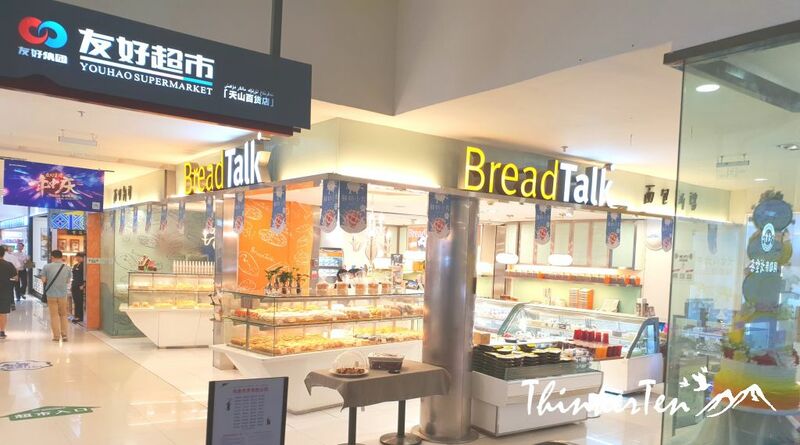 Before entering to Youhao Supermarket, I saw our Singapore BreadTalk Bakery has a store in the basement of Tian Shan Department Store. 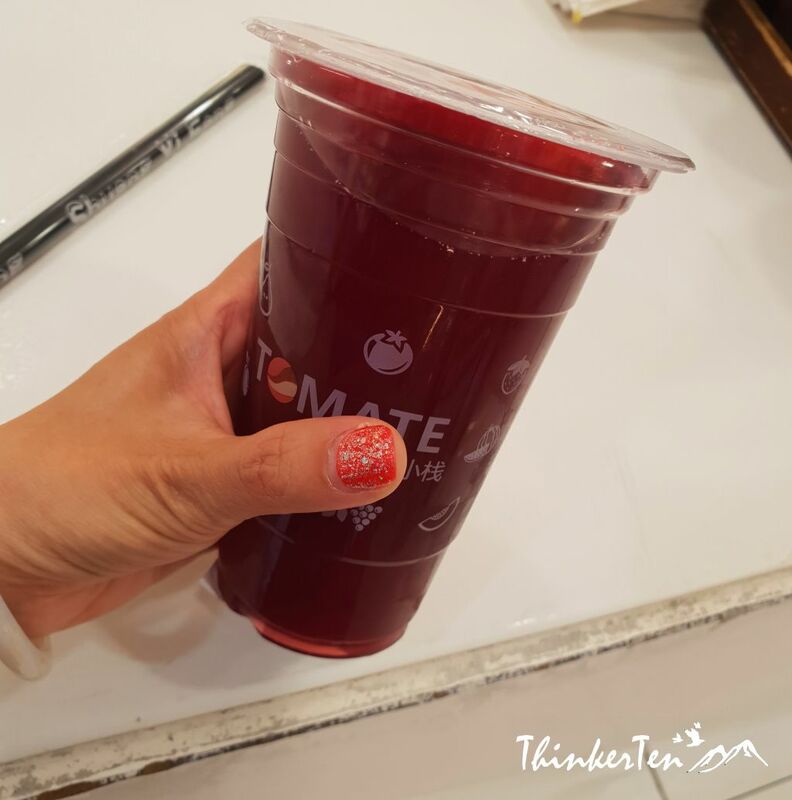 One of the drink you need to try in Xinjiang is pomegranate drinks. Local called the drink “Anar”. Pomegranates is a fruit predominately grown in this region. You will see this drink almost everywhere in Urumqi, also can be found Urumqi International Grand Bazaar, may be the freshly made version. 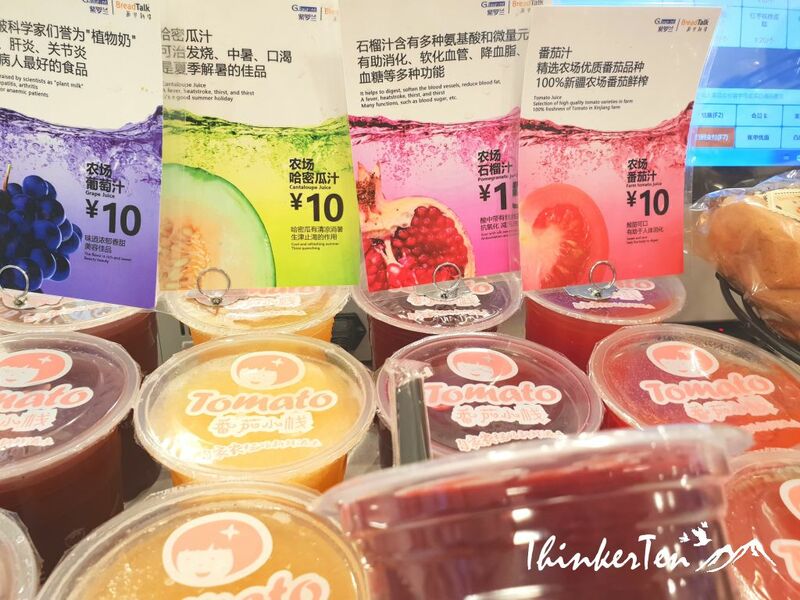 BreadTalk has the ready-made pomegranate drinks at their counter, selling at RMB15 (SGD3.00). I prefer the ready-made as it look more hygiene. 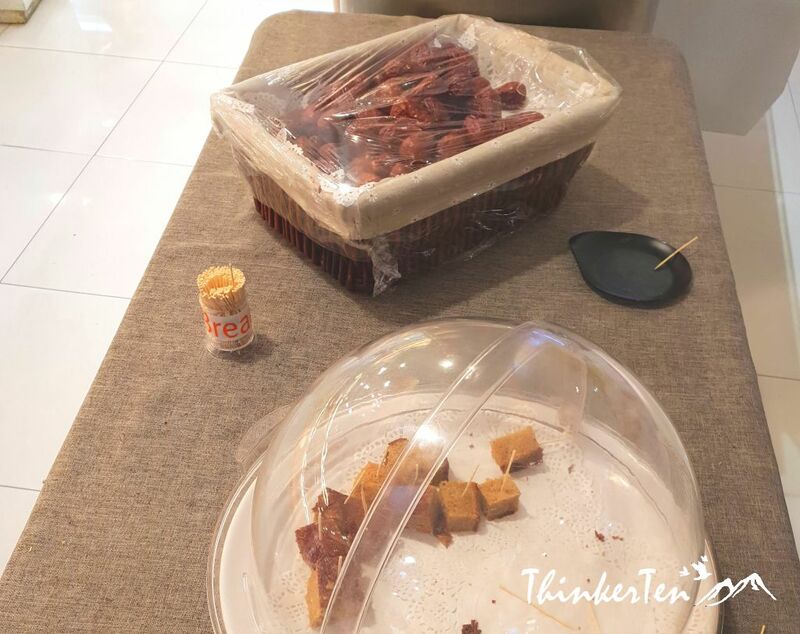 BreadTalk is selling one of their special item – ‘Dates Cake’, similar to banana cakes, except it is dates that are used. The cake texture is the soft and not as sweet as banana cakes. I have bought one for my snacks in the airport. 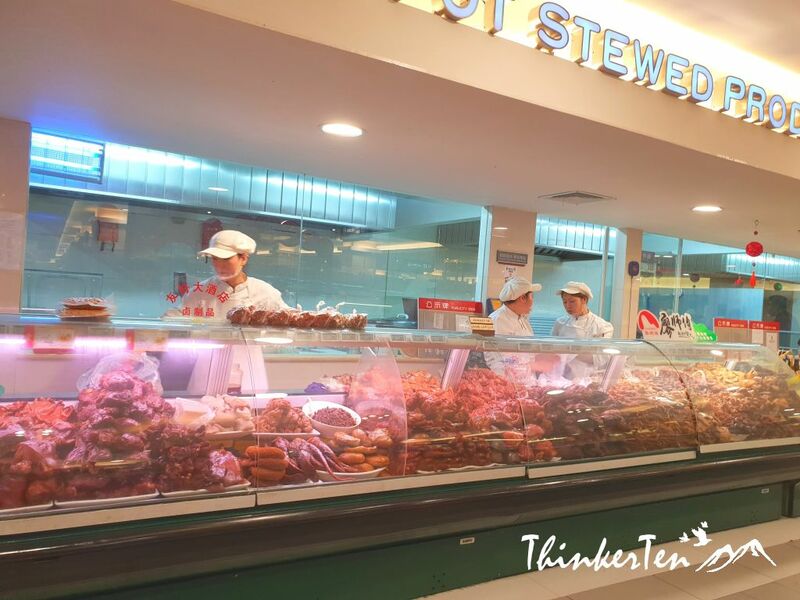 At the meat section, you got to see all the local delicacies. 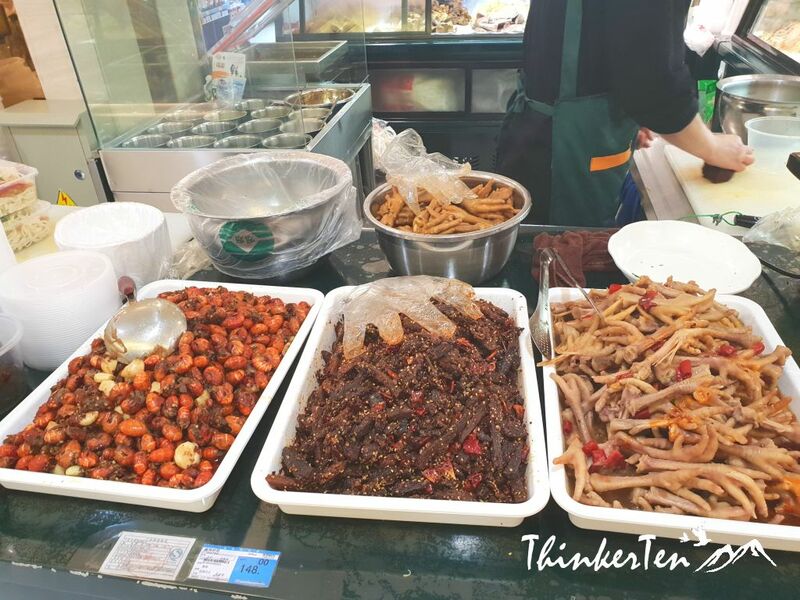 The most interesting part is to see every part of the pig were sold here, eg ear, brain,snout,tongues, small & big intestines, testicles and even black (black pudding). Xinjiang is famous for “Ope-hisip” which is mainly made out from sheep lung and intestine. Don’t think Youhao Supermarket has it here as “Ope-hisip” are street food which mostly found in the alley of the Grand Bazaar. 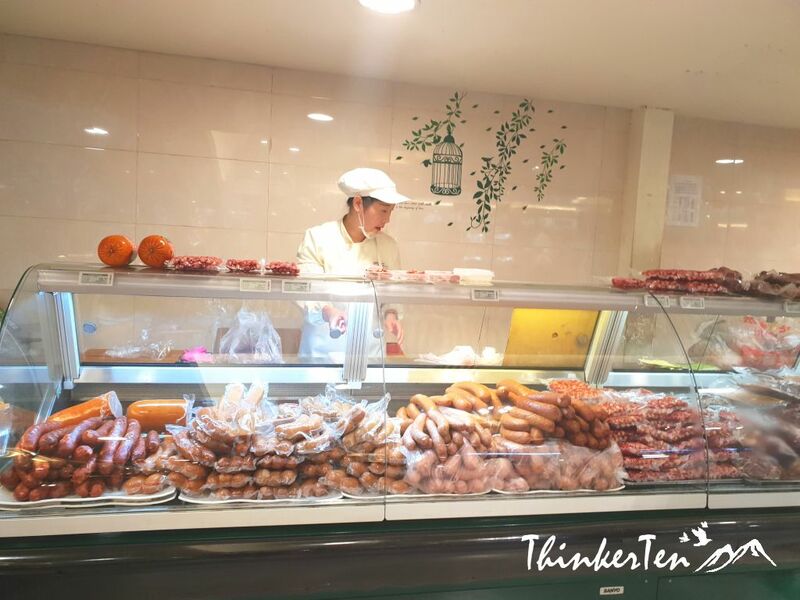 You may like to try horse meat sausages since Xinjiang has the world longest horse meat sausages. 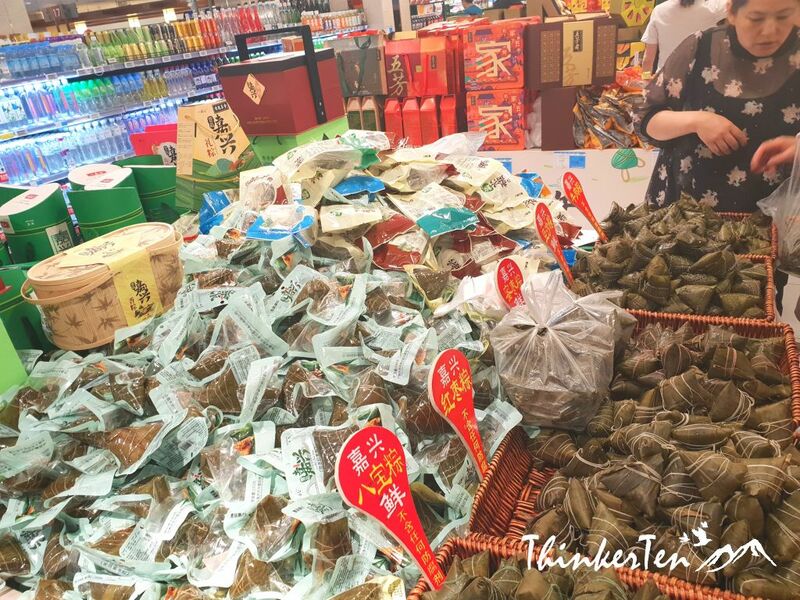 “Small Eat”/小吃 is local ,traditional and characteristic food such as marinated lotus, tofu skin, seaweed etc. 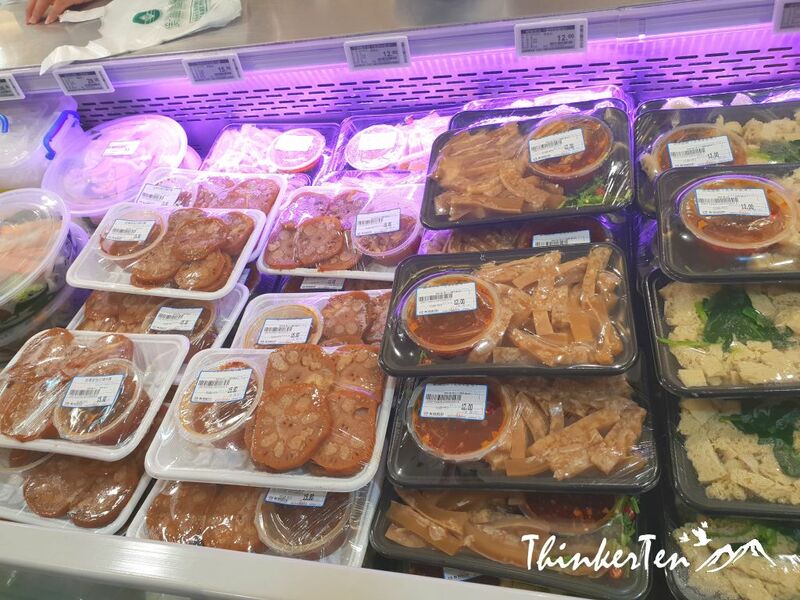 Other local cooked dishes that are ready to serve and eat, all packed nicely for the customer to pick them up. 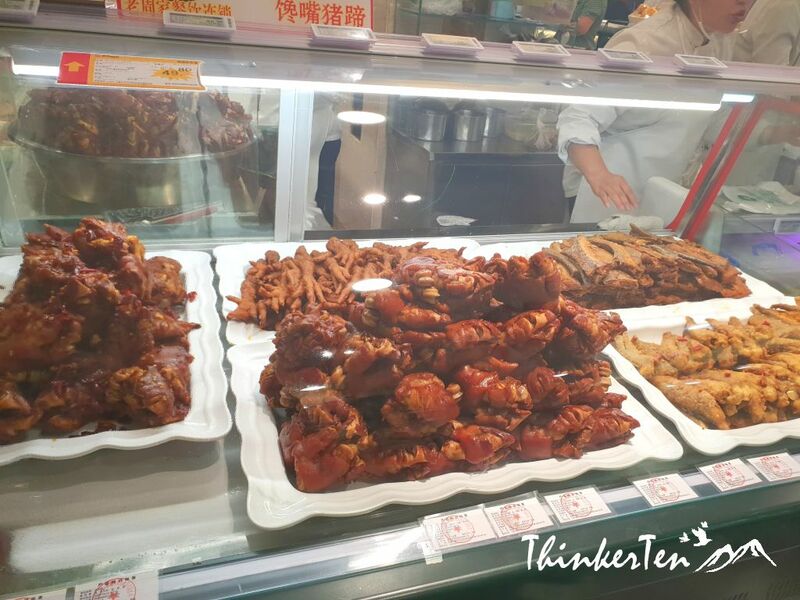 Marinated chicken feet, beef and seafood with chili powder & topped with sesame. 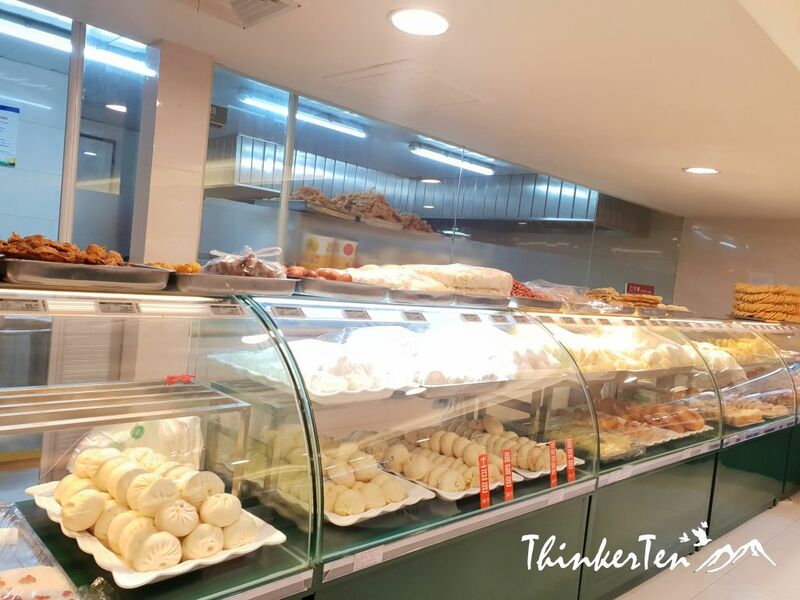 All type of bakery & biscuits. Mahua/麻花, the Chinese dough twist that is being fried in oil. The origin is unclear which part of China but now can be found almost all over China. 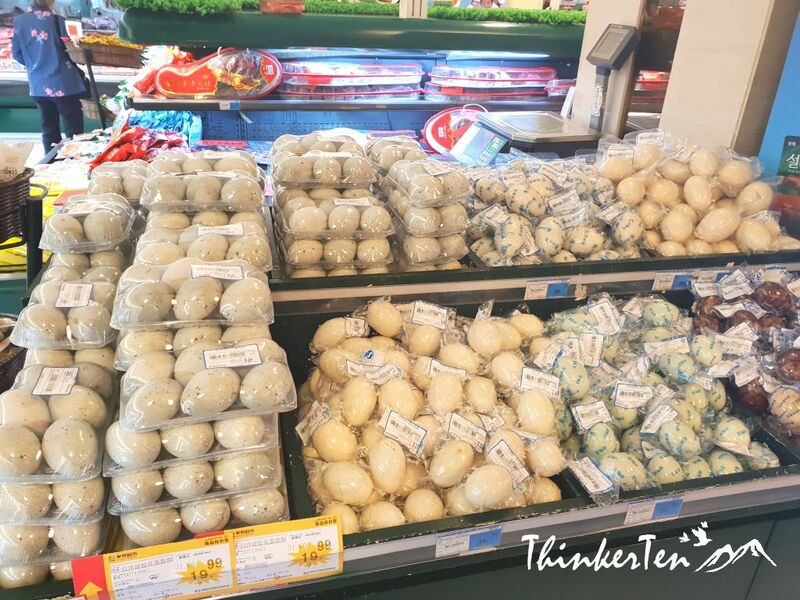 Since it was during the rice dumpling festival, we saw a lot of ready-made rice dumpling packed in the nice packaging. China rice dumpling looks different from our Singaporean version. 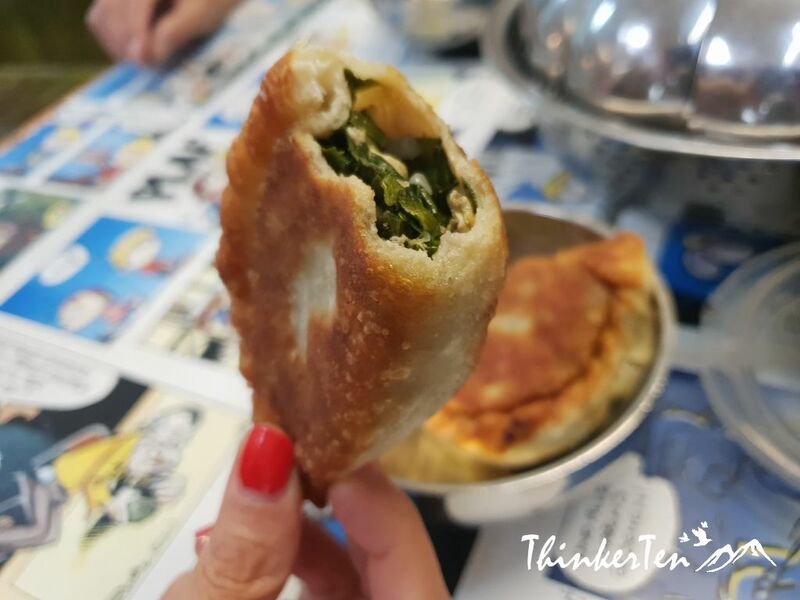 China rice dumpling look smaller and also do not have so many ingredients and usually taste sweet. Our usually taste salty and include meat in it. 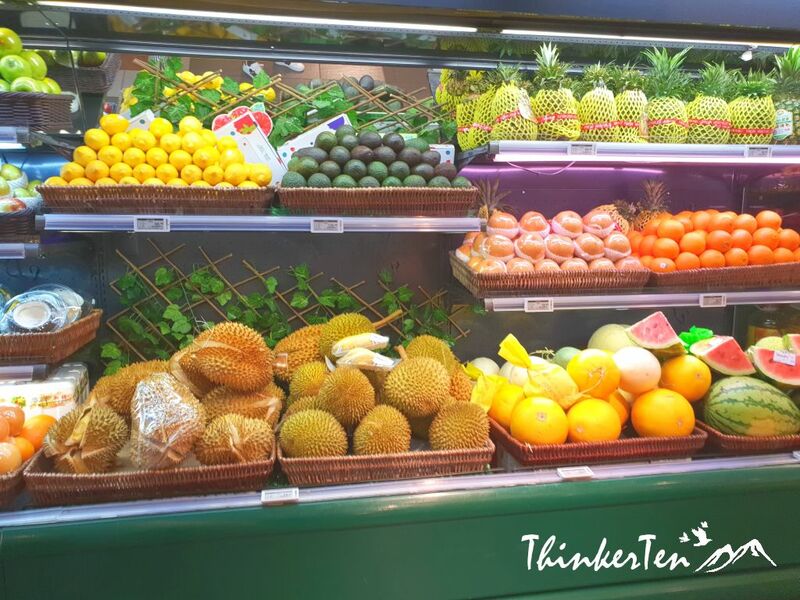 The fruits sold here are mostly imported fruits such as durian and not cheap too. Cheap local fruits usually sold at the roadside, such as Hami Melon, watermelon and pomegranate. 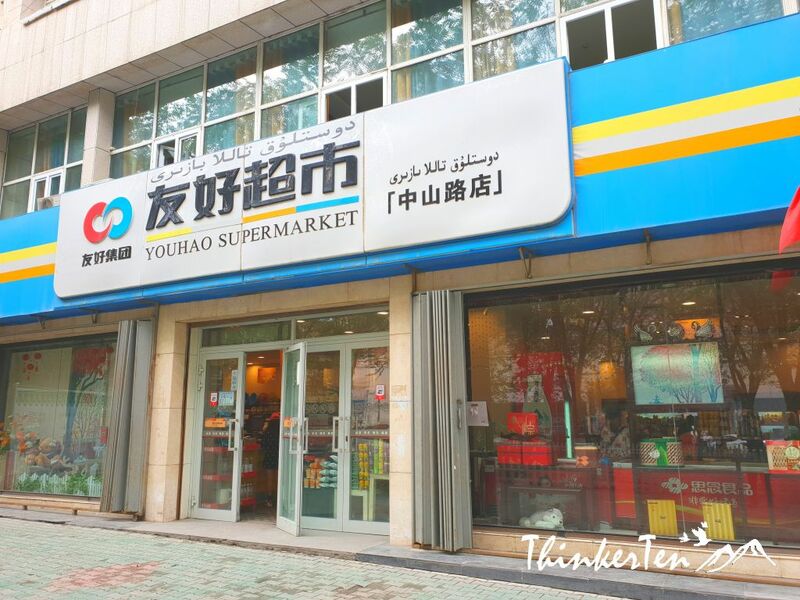 Youhao Supermarket is a shopping paradise for local & expats. You will find plenty of foreigner staples such as cheese, doughnuts & cereal. There is even a sushi counter where you can by their sashimi & sushi. 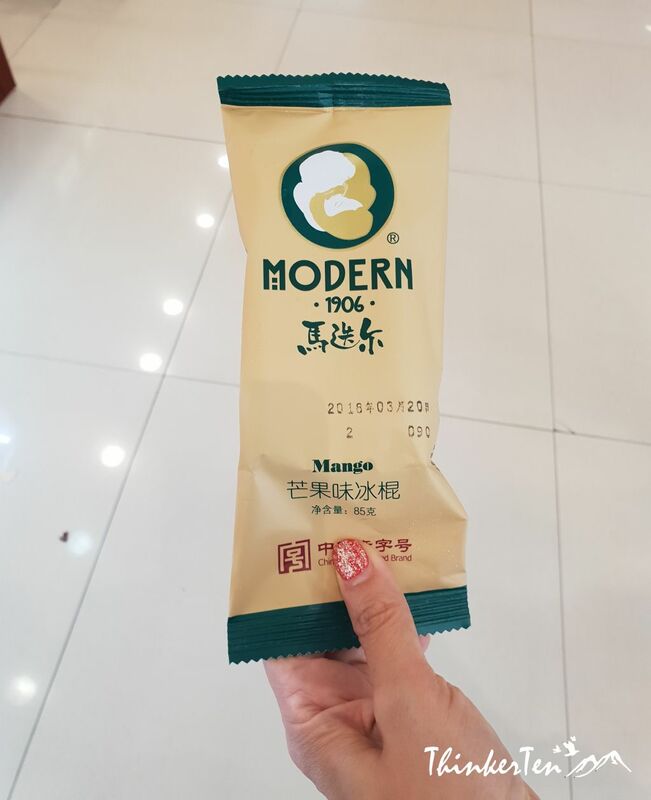 Modern 1906 Ice cream is originating from Harbin in China. I choose to try the mango flavour and quite milky and creamy taste. I prefer less creamy. 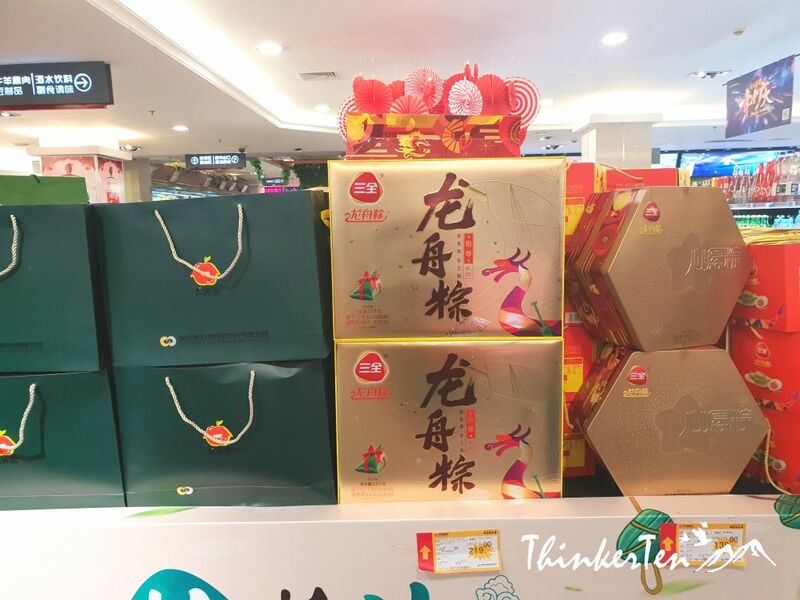 If you look closely, the packaging has China Time-honored Brand/中华老字号 printed on it. This mean the brand has been awarded certificates and has long history of brand in China. 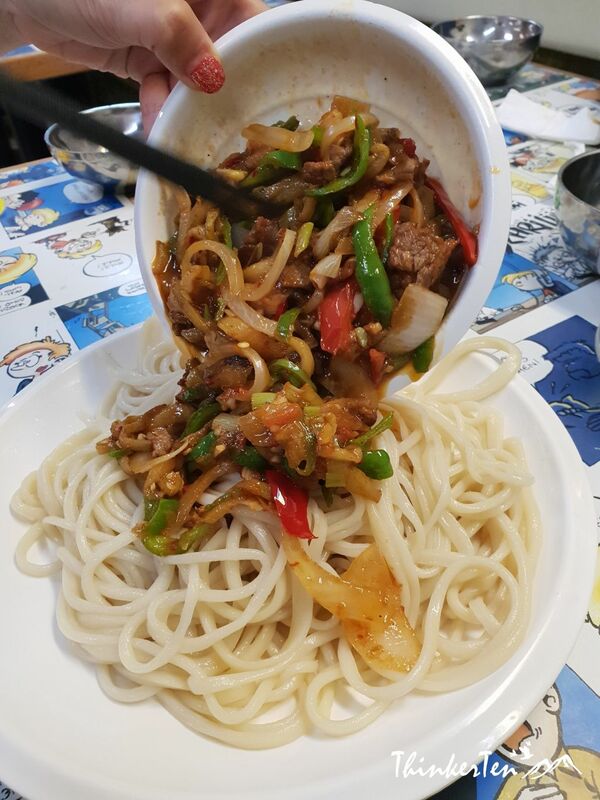 We have our quick-lunch before going to the Urumqi Airport. See what I mean by China version of rice dumpling? 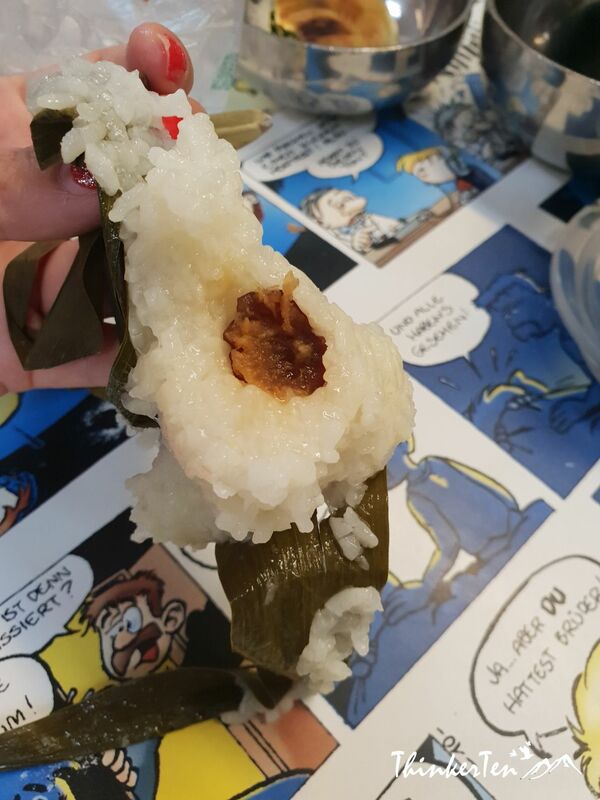 There is only one date in the rice dumpling and no other ingredients. 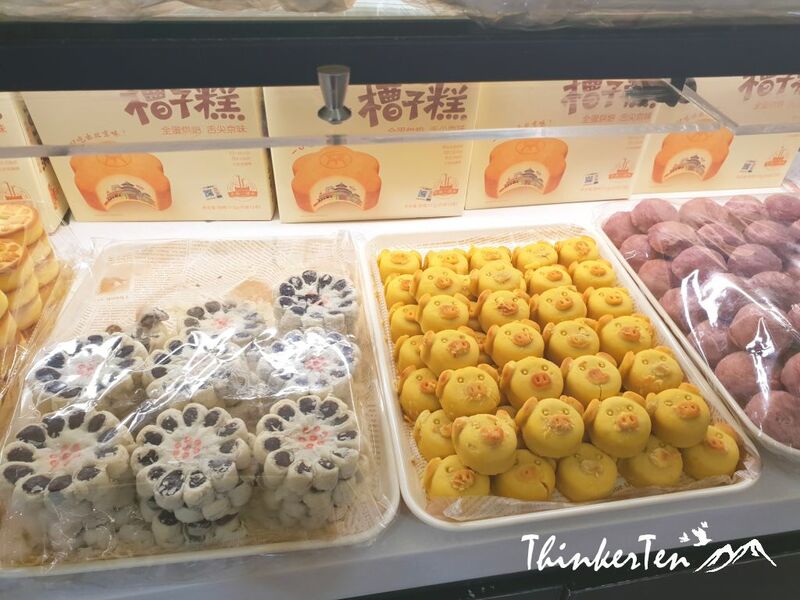 The date is sweet and the whole dumpling taste sweet and smaller too. I quite like it. 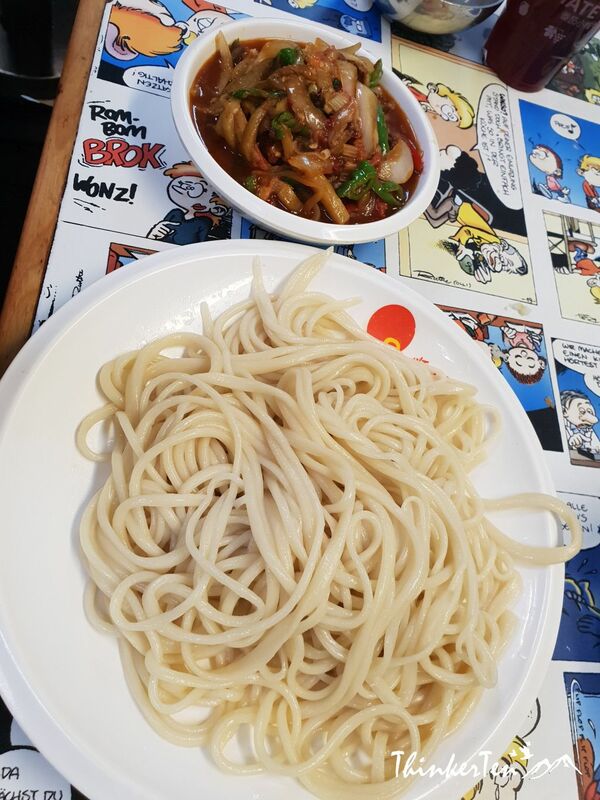 The noodles and meat are separated when served. You will have to pour and mixed well before you eat. 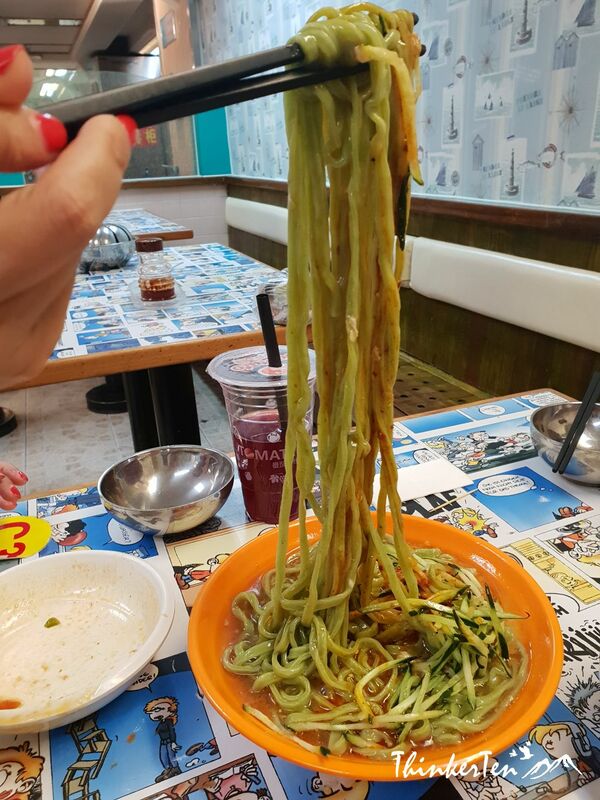 Portion is so huge that you can share by 2 to 3 pax. Thanks a lot for sharing this guide. One of my favorite things to do when I travel is shop. It’s a great way to explore the city, sample great food, and bring home some cool stuff from the trip. You are right, at the basement of the supermarket, there are always free sampling food for customers. If we like it, we can always buy and bring home. Not sure I will try out the testicles but who knows it may taste good. Thank you for sharing this guide 🙂 I hope to visit China one day – I appreciate your thoughts on this! Thanks for your comment and hope you will make it to China soon. Wow! I would be overwhelmed with all of those choices! Selling all parts of the pig reminds me of some smaller towns in Alabama — all parts of the pig gets used. Thanks for sharing! Glad to learn thatn smaller towns in Alabama also take all parts of pigs… I always thought American use other parts but only meats of the pig. China is an interesting country which is full of history and culture, highly recommended since you love Chinese food. We have local Singaporean here who could not enjoy Chinese food too when they explore China. Chinese food in China taste different from our local Singapore Chinese food. The north part of China tend to use a lot of oil and very salty. Urumqi is the capital of Xinjiang province, China. Also known as the most remote city from any sea in the world. So much of yummy food makes the place wonderful and your pictures are great. It is really worth travelling there. Meat such as beef and mutton are used for roasted and stir fried. Overall the diet in Xinjiang is Muslim food which uses a lot of spice and chili which is similiar with Turkish. What a great guide! I havent been to China before but now I feel like I could shop like a pro when I visit! That is some really great cuisine! I would love to learn how to shop at a market like that! Shop like a local can turn into a great field of exploration and becomes an exciting adventure full of insights and discoveries. What a fab looking city, so many things to see! That market looks like somewhere I would love to shop if I was there. 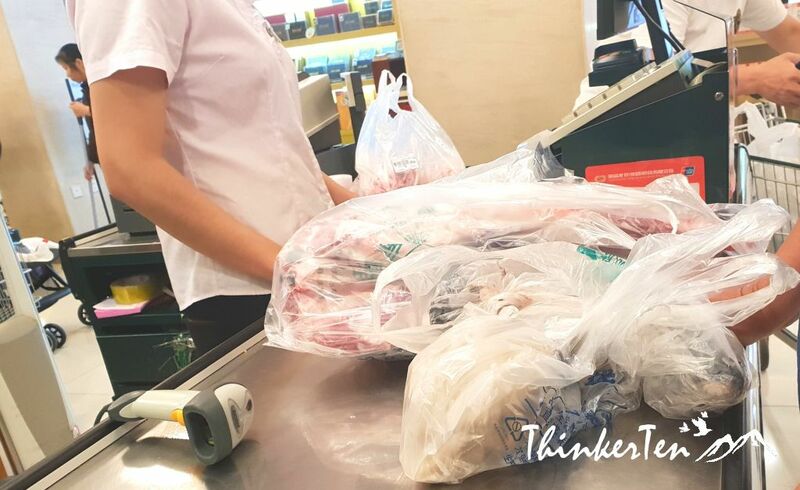 Trying out new food is the most exciting part when doing the local supermarket shopping. You get an insight of how the local lives and able to compare the difference from theirs and ours. Wow the cuisine looks beyond amazing. We have never been to China, but it is on our bucket list! China is a huge country and each provinces has it own preference for seasoning and cooking techniques and it all based on the differences in historical backgroound and ethnic groups. In Xinjiang provinces, the cuisine is strongly influenced by the Uyghur cusines, which are found in Central Asia. They eat lots of naan and tea. So much to explore and to eat. I always find it a treat to try out foods the locals eat. I also especially enjoy exploring the local markets for free samples. You are right, haha. A visit to the local supermarket can lead to many free sample tasting. 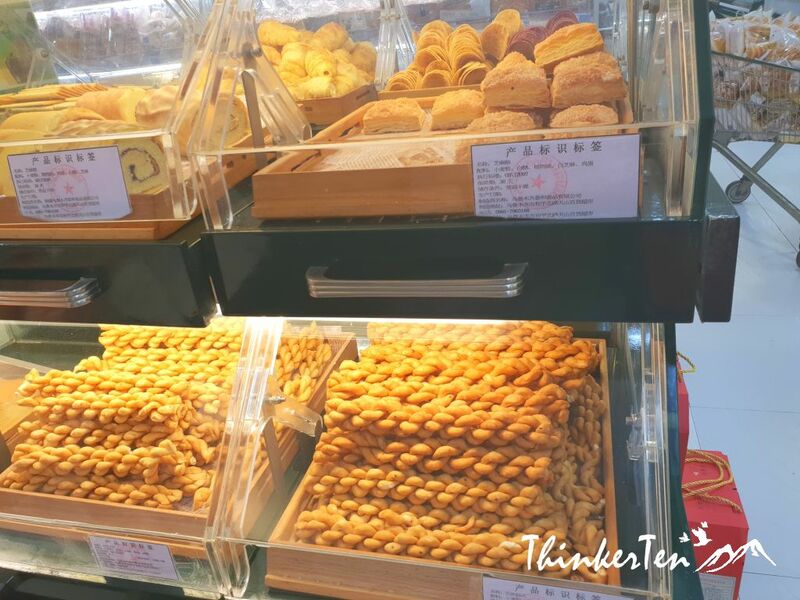 A great way to taste all the local speciality without have to pay. Well, if you like it, you can buy and bring home for souvenirs. I would love to visit China someday. This would be a really fun experience to have. My advise for first timer of China should go Beijing for Great Wall of China and Xi’an for Terracotta army. What a fun and great experience you had. I would love to go here, Once I have the chance to visit China. Such a very informative post about this city and thanks for sharing this great guide with us as we can now know what to do and where to go on our future visit in this city. 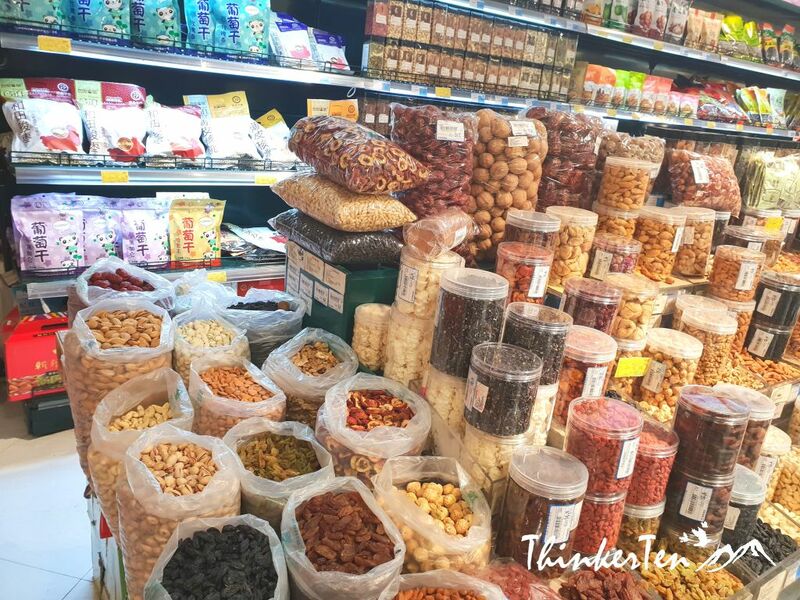 Other top places to visit for shopping but more for tourists is the International Grand Bazaar Urumqi which offer plenty of local crafts and souvenirs. I would say it is very similar to the Istanbul Grand Bazaar in Turkey. Wow, I had no idea that there were so many things I need to try! Thank you for sharing. Im excited to book a trip. China is definitely on my list of places to visit and after reading this, it’s moving up on priority. Thanks for sharing! Urumqi is a modern Chinese city and not many westerners are familiar with. Nearby the International Grand Bazaar (for tourists to shop for souvenirs), there are mosques where you can also pay a visit. China has many awesome cities that you wouldn’t think you are still in China. I don’t understand why many westerners think differently. Or many because they don’t know their culture (+ language barriers). I wish to visit and shop here soon!